There’s an old adage which says “It’s better to prepare than repair.” Even though garage door repair is the backbone of our business here at Action Garage Door, we know most would rather avoid the need for repairs altogether. 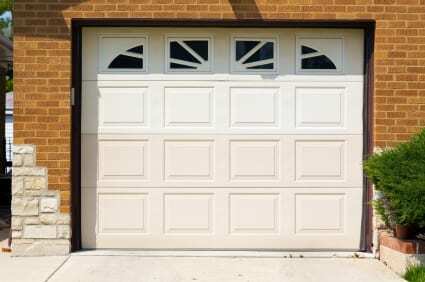 Thus, we also offer garage door maintenance service along with sharing tips and tricks with our customers as to how they can ensure the optimal performance of their garage doors and openers. Like any automatic feature in your home, you just expect your garage door to work. We can help ensure that expectation is met by coming out and doing a thorough diagnostic review of all of the components of your system, including the opener, springs, and roller. If our findings show you’re in immediate need of emergency garage door repair, we’ll be happy to do it right then and there. If not, you can trust we won’t try to fabricate issues simply to bolster our service. There are also a few simple things you can do avoid needing garage door repair. They take only a few minutes every couple of months, and could end up saving you hundreds in repair costs. Routinely check all nuts and bolts, and tighten any that have loosened. Spray a coat of lubricant over the torsion springs, hinges, and rollers. Keep the area where the door’s bottom seal meets the ground clear at all times. We at Action Garage Door want do to all we can to help you avoid needing emergency garage door repair. By taking advantage of our maintenance service, you help to guarantee not needing a visit from one of our emergency garage door repair technicians on a late, stormy night. Avoid needing garage door repair by allowing our trained technicians here at Action Garage Door to perform regularly scheduled maintenance on your unit. Our team knows how to spot problems before they even happen, and is ready to not only address them in the moment, but share with you the information on how to avoid them in the future.